This expansion follows Expansion one, the Terrain Pack. While the Terrain Pack focused on new terrain and rules, the Eastern Front expansion is devoted to the ferocious battles that pit the Axis and Soviet forces against each other. 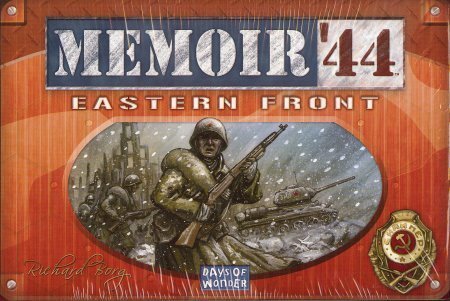 requires Memoir '44 core game to play.